Did you know Windtown has been operating since 2002? At that time kitesurfing was quite a new sport and we saw the opportunity to grow with it. We started off with a watersports centre on the beach of Kamperland in the Netherlands, offering lessons in windsurfing, kitesurfing, sailing and kayaking. And we also started organising the Kitechix events. As the Dutch winters are too cold, we than travelled the world to warmer places in search for the perfect winter kitesurf destination. 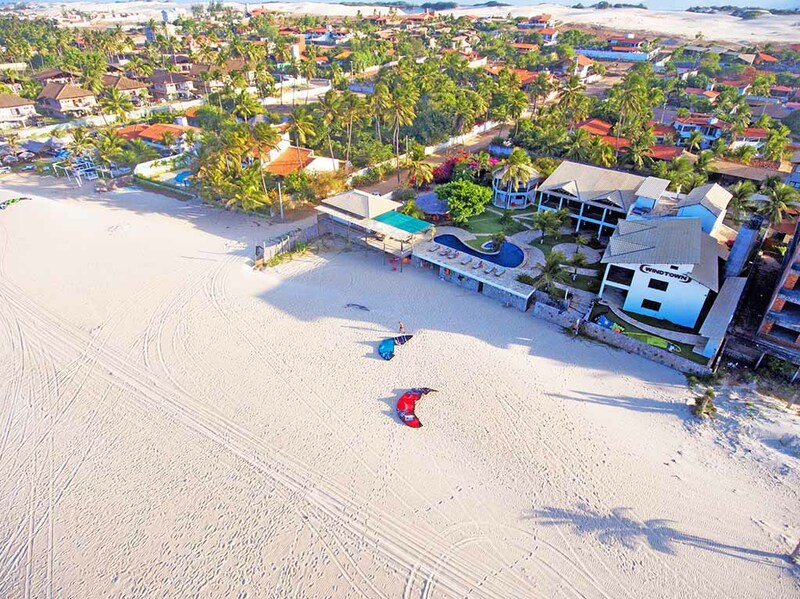 In 2004 we bought a beautiful piece of beachfront land in Cumbuco, Brazil, and it took us 2 years to build up a proper kitesurf hotel and centre. In 2006 we proudly opened our doors. Our dream came through. As the operation in Brazil was our ‘goal in life’, we sold the watersports school in the Netherlands in 2007. The Brazilian site did very well. Cumbuco really is THE nr. 1 kitesurf spot in the world. And so we started to look at the nr. 2 best kitesurf spot in the world. We arrived in Langebaan, South Africa. In Langebaan we did the same as in Brazil. We bought a piece of land and we built our own hotel, which opened its doors in 2012. Both locations consist of hotel accommodation, a kitesurf centre, a restaurant and a spa. We’re so happy with both locations and especially with the teams running it. We can’t be more thankful. We hope to receive you very soon (again).